As professions we are committed to strengthening the sector but it can be difficult due to under-funding, lack of support and an ever increasing list of compliance/ regulation from the government. 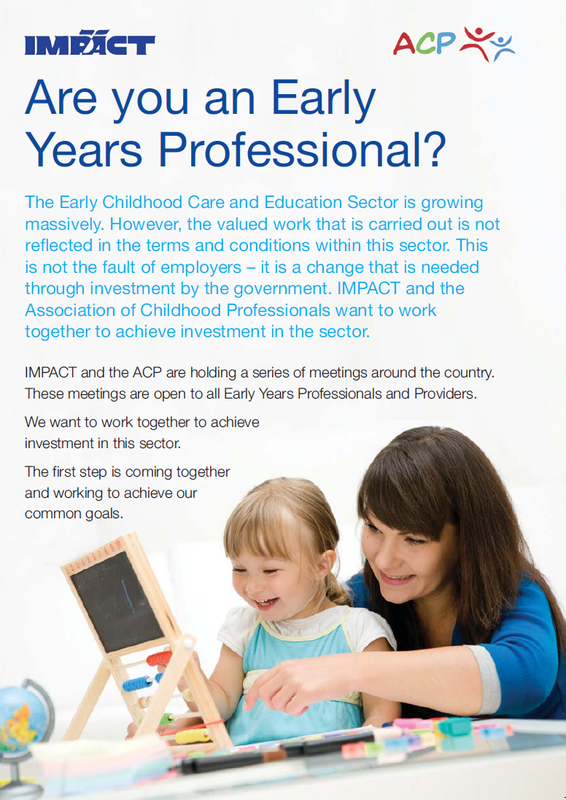 The ACP has been advocating and lobbying on behalf of the sector continually but there is little political will to make the changes necessary to address our issues. 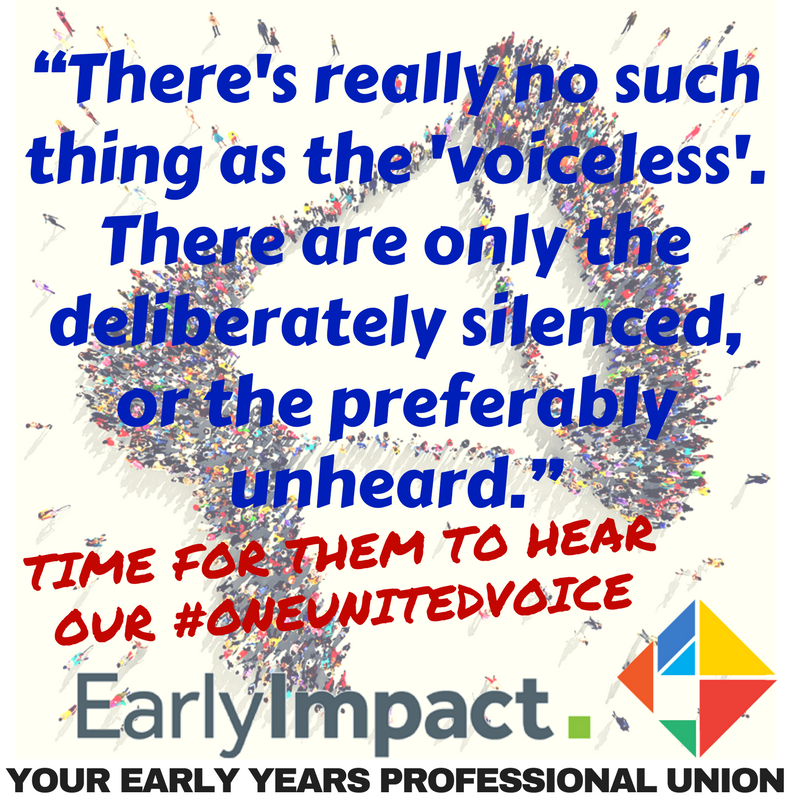 For this reason for the past few months we have been engaging with various unions to determine if there was one that matched the values and ethos of our profession. Following extensive discussion the members of our branch and national committees voted to collaborate with IMPACT Trade Union to organise a union for all Childhood Professionals. This is a massive step and one that requires as much engagement as possible from both our members and our early childhood education and care colleagues. A series of meetings are being held around the country to allow constructive dialogue and practitioners, owners and managers to share their thoughts and ideas. ​Lisa Connell, IMPACT Trade Union, Nerney’s Court, Dublin 1.